Condition: Good, general age-related toning. Text on verso. Please study image carefully. 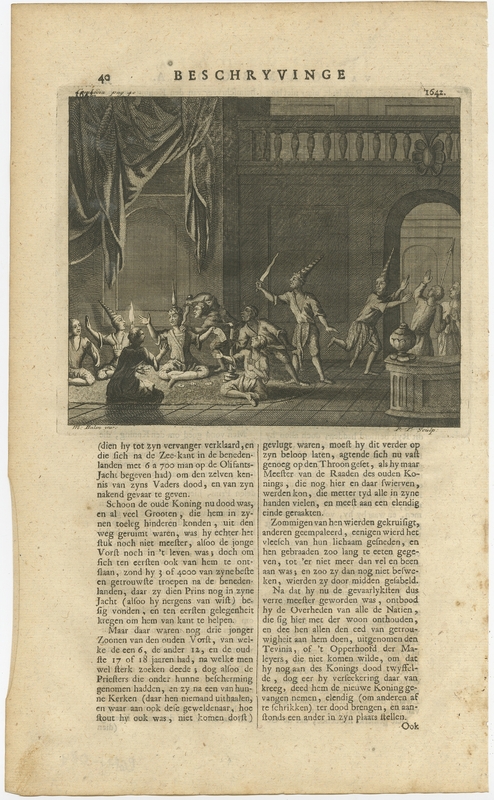 Description: Antique print titled 'Dood des ouden en des jongen Konings'. This print depicts the murder of Kings in Cambodia. This print originates from 'Oud en Nieuw Oost-Indiën' by F. Valentijn.